I recently decided to start a garden. There’s not much there – just a couple tomato plants, capsicum, chilli, and some herbs. The neighbourhood slugs decided that me starting my first ever garden was an excellent time to coalesce onto my backyard. They slime out at night and shred my basil. They also have taken a liking to the chilli plant leaves, especially the new growth. Any of the natural methods, such as coffee grounds or garlic spray, have had zero effect, so I’ve finally resorted to a combination of poison and beer. So far, I still have my basil. While researching slug combat, I learned about an inventor named Ian Kelly. He must have had a serious slug problem, because at some point in the late 90s Kelly decided to build SlugBot – a device the size of a lawn mower equipped with a long robotic arm mounted on a turntable. This bot has a red light sensor designed to help it spot slugs in the dark (because that’s when the buggers come out for their nightly carnage), a GPS, ultrasonic and touch sensors for navigation, and a container for dropping the slugs in as it collects them with said robotic arm. The awesome part – the container is full of bacteria that decompose the slugs, which in turns provides fuel for the bot. So what you have is a self-sufficient, slug churning robot that roams around the yard, instilling terror in the slimy pests. Sign me up! Unfortunately, it’s mostly theory and hardly any action. In 2001 Time magazine listed this as one of the inventions of the year, and predicted we’d have them on the market by 2004 or so. Ten years later, and there’s still no sign of a commercial SlugBot. The website describing this device was last updated in 2007, and still described it as being in prototype stage. And last we heard there were some “significant engineering challenges” to overcome still. 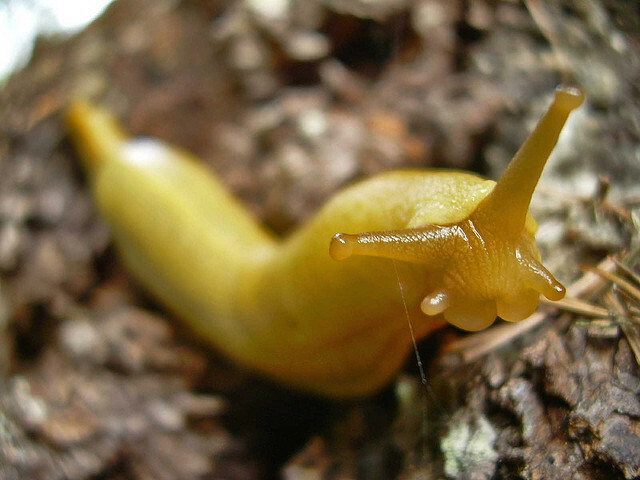 With future advances in microbial fuel technology as well as robot AI, perhaps one day I’ll have a SlugBot. That would be so much cooler than a beer trap; perhaps I’d even attempt growing spinach.